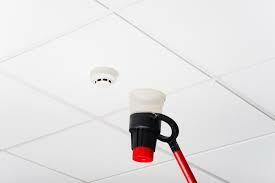 Your fire alarm system has been installed to protect you and your building. Everyone depends on this system functioning properly in the event of a fire, acting as an early warning system and enabling safe and timely evacuation. You have a legal obligation to ensure that this detection system is in good working order and adheres to current regulatory standards. Pyrotec Fire & Security will make servicing your fire alarm system an effortless legal obligation for you. Our trained engineers will carry out your servicing in accordance with BS5839-1:2017 and BAFE. This offers you a cost effective way to ensure your sounders will activate if needed, giving you peace of mind and all the relevant legal documentation you need to show you fire alarm system has been serviced.